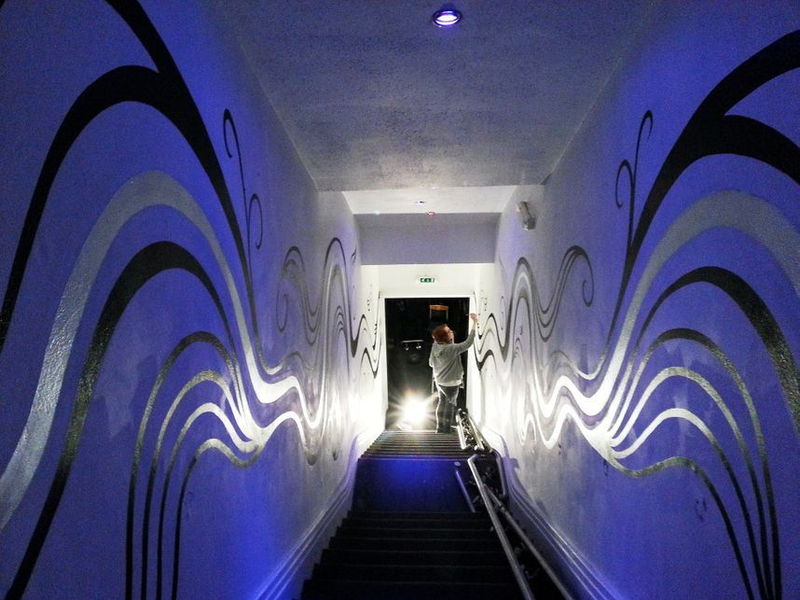 We painted this funky swirly pattern either side of the stairs that lead up to Life Nightclub in Sittingbourne. We added a touch of silver to give the mural extra depth and to make the most of the changing coloured LED's that light the stairwell. This took us three days to complete. 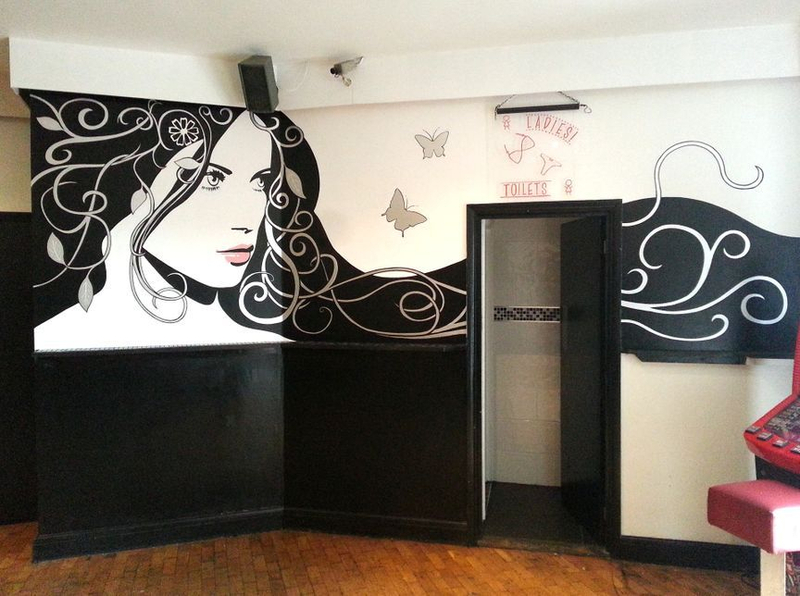 We also painted this mural of a woman's face outside of the ladies toilets in the nightclub. The swirling patterns in her hair tie in with the stairwell and we have used black, white and silver paint to keep with the colour scheme. This gives such a big impact as soon as you walk into the club and highlights the back of the room away from the dance floor. This took us four days to complete.